At The McClellan Law Firm in San Diego, our practice is focused on complex personal injury litigation throughout California. We are one of the top premier personal injury law firms in the country. Many of our clients have suffered catastrophic injuries, lost a loved one, or sustained crippling financial harm because of the negligent actions of others. We are dedicated to helping those who have been wronged obtain the compensation they deserve. We have obtained over 110 verdicts and settlements in excess of 1 million dollars each for our clients. For nearly 25 years, our firm has provided exceptional representation and advocacy for our clients. Our approach is founded on individualized client service. Our firm never handles more than 15 cases at a time so we can focus all of our efforts on building the strongest possible case for each client. Our attention to detail and the extraordinary ability of our lawyers to get the job done has resulted in our firm recovering over $250 million for our clients. Craig McClellan is one of the most widely respected and well known personal injury trial lawyers in the state of California and throughout San Diego County. Craig McClellan has an unparallel track record of obtaining some of the largest verdicts and settlements in San Diego County and the state of California. In addition to complex personal injury litigation, our firm handles products liability, business litigation, insurance litigation, intellectual property litigation, and DePuy/Johnson & Johnson hip replacement litigation. If you are searching for a premiere law firm that will work hard on your case, contact our San Diego firm for a free and confidential consultation. Our attorneys are looking forward to helping you. If you or someone you know has suffered a serious injury, or was wrongfully killed due to an accident we can help. Call us today to speak directly to one of our attorneys about your case. 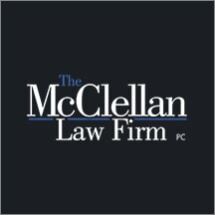 All consultations are free of charge at the McClellan Law Firm. We can evaluate your case with one of our San Diego Personal Injury Attorneys. Our work is contingency fee based. We collect no fees unless we collect damages for you. Call us now at 619-231-0505. Not all serious brain injuries are caused by blunt force head trauma, falls or skull fractures. Our conscious decision to limit our caseload to no more than 15 cases at a time is reinforced every time we represent a family grieving the loss of a parent, spouse or child. On Aug. 26, 2010, DePuy recalled two of its defective hip implant devices: the DePuy ASR XL Acetabular Hip System and the ASR Hip Resurfacing System. We've maintained a national reputation for excellence in product liability litigation on behalf of severely injured victims and the surviving families of those killed by dangerous and defective manufactured goods of all kinds.